“Thanks again for a really great course – I found it challenging and overall you both created an open environment that pushed me out of my comfort zone. 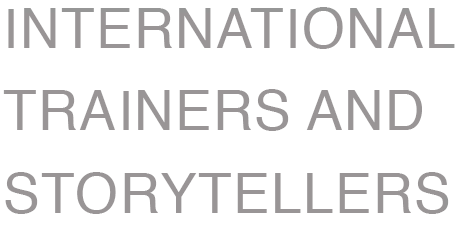 AMY LEWIS, WCRS WHO ATTENDED A ONE DAY STORYTELLING COURSE AT THE IPA. 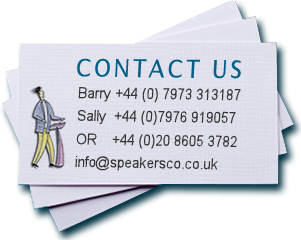 “For over 10 years Speakers Corner has been an integral and valuable part of PAC, providing insights and presentation skills to some 700 ‘students’ from across all disciplines of the international marketing communications industry. “Thank you very much for working with us to build a training day that not only provided our novice speakers with the key tools they will need as they develop as presenters, but for also spending a half day working with one of our industry experts prior to a major conference to ensure his delivery was polished and pitch perfect. The feedback from the entire group was incredibly positive and the results impressive. Sally and Barry were energetic and very good at encouraging development and personal critique of all participants. “I have never been in a training session where I have seen so much self-improvement in a day”. Delegates rate two aspects of our workshops most highly – seeing themselves on video and receiving feedback from two trainers on how they did and how they could improve.